Thanks to the Hoover Spotless portable carpet and upholstery cleaner, there's no need to worry about spills, muddy shoes or pet messes anymore. 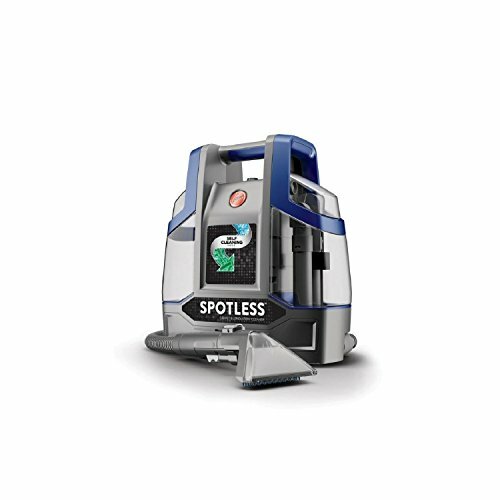 The Hoover Spotless easily lifts and removes stains by combining powerful suction and hygienic deep-cleaning tools with the added power of Hoover Expert detergents. The only spot cleaner with self-clean technology flushes the hose clean after each use to help prevent odors and bacteria growth, providing a Spotless clean inside and out. If you have any questions about this product by Hoover, contact us by completing and submitting the form below. If you are looking for a specif part number, please include it with your message. 6 Gallons of 35% Food Grade Hydrogen Peroxide. Plus THE 2014 TRUE POWER OF HYDROGEN PEROXIDE, Miracle Path to Wellness. Bonus 6 Amber Dropper bottles.